The Book of Revelation presents its author as John. Whoever that John was has been a subject of debate. The traditional view holds that John, the apostle, was the author of Revelation. Justin Martyr, Irenaeus, Clement of Alexandria, Tertullian, Cyprian, and Hippolytus came to that conclusion. Other Church fathers such as Dionysius of Alexandria, Eusebius of Caesarea, Cyril of Jerusalem, Gregory Nazianzen, and John Chrysostom objected to this view and attributed the authorship to a certain “John” other than the apostle. These two views are predominant in influence in recent scholarship. We can look more closely to ascertain some facts about the author of the Book of Revelation. 1. There is no absolute stance on the authorship: Scholars differ on the identification of this John. Despite the popular reception of the traditional view, recent scholarship continues to exert a firm rejection of John, the apostle as the author of the Book. This allusion may suggest a late edition of the visions other than the actual time of the original transmission by John the Revelator (Compare with Luke 1: 1-3). 3. Revelation is not a pseudepigraph work: The name of the author is integral to the content of the Book. Five times the name John appears in the Book of Revelation (1:1, 4, 9; 21: 2; 22: 8). The first two “Johns” appears to be the voice of the editor. The last three are all qualified with the personal pronoun “I, John,” signifying a personal witness of the visions. The author seems no stranger to the recipients, “your brother and companion in the suffering and kingdom and patient endurance that are ours in Jesus.” He saw, wrote, and sent the book by himself. On the Lord’s Day I was in the Spirit, and I heard behind me a loud voice like a trumpet, 11 which said: “Write on a scroll what you see and send it to the seven churches: to Ephesus, Smyrna, Pergamum, Thyatira, Sardis, Philadelphia and Laodicea. In my vision at night I looked, and there before me was one like a son of man, coming with the clouds of heaven. He approached the Ancient of Days and was led into his presence. And he said, “Behold, I see the heavens opened, and the Son of Man standing at the right hand of God. and among the lampstands was someone like a son of man, dressed in a robe reaching down to his feet and with a golden sash around his chest. (Compare with Daniel 10: 5, 6). When I saw him, I fell at his feet as though dead. Then he placed his right hand on me and said: “Do not be afraid. I am the First and the Last. 18 I am the Living One; I was dead, and now look, I am alive forever and ever! And I hold the keys of death and Hades. The relationship doesn’t look like that of familiarity. These do not, however, prove satisfactory to reject John, the apostle, as the author. Yet, they are strong clues for authorial assessment. 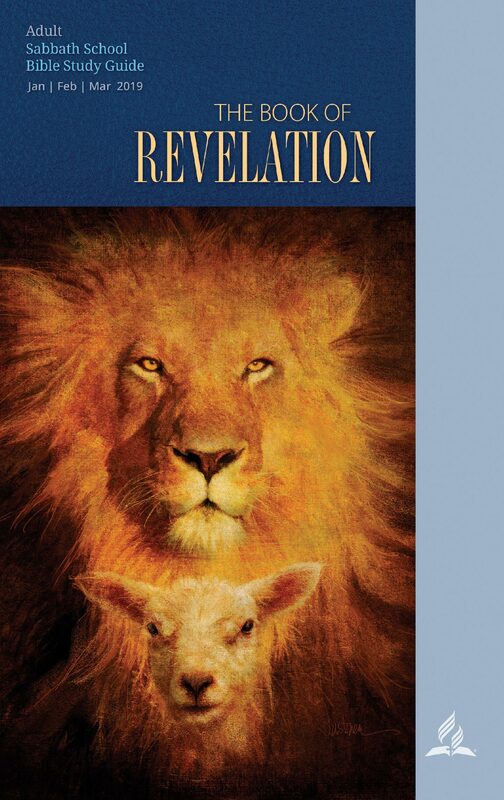 The Book of Revelation has an author. His name is John. Majority of scholars believe that this John was the beloved apostle of Jesus Christ, who was exiled to Patmos. Ignatius of Antioch (35-107 AD) testifies that “Peter was crucified; Paul and James were slain with the sword; John was banished to Patmos; Stephen was stoned to death by the Jews who killed the Lord? But, [in truth,] none of these sufferings were in vain; for the Lord was really crucified by the ungodly.” Is this not the same John of Patmos mentioned in the Book of Revelation? Other scholars say no, and argue for another John other than the apostle.